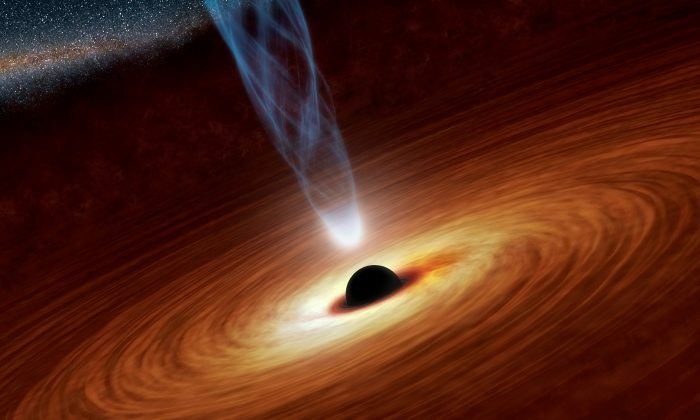 WASHINGTON—Scientists are expected to unveil on April 10, the first-ever photograph of a black hole, a breakthrough in astrophysics providing insight into celestial monsters with gravitational fields so intense no matter or light can escape. Simultaneous news conferences are scheduled in Brussels, Santiago, Shanghai, Taipei, and Tokyo. A black hole’s event horizon, one of the most violent places in the universe, is the point of no return beyond which anything—stars, planets, gas, dust, all forms of electromagnetic radiation including light—gets sucked in irretrievably. While scientists involved in the research declined to disclose the findings ahead of the formal announcement, they are clear about their goals. “It’s a visionary project to take the first photograph of a black hole. 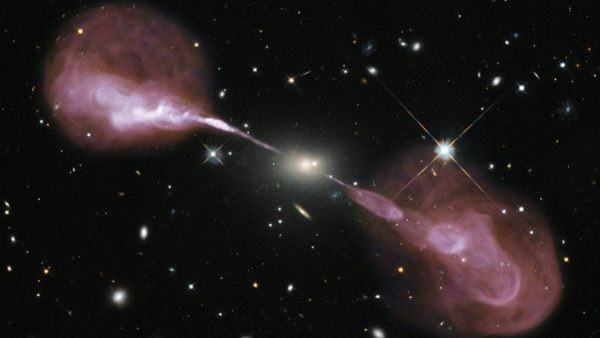 We are a collaboration of over 200 people internationally,” astrophysicist Sheperd Doeleman, director of the Event Horizon Telescope at the Center for Astrophysics, Harvard & Smithsonian, said at a March event in Texas. The news conference is scheduled for 9 a.m. on Wednesday. The research will put to the test a scientific pillar—physicist Albert Einstein’s theory of general relativity, according to University of Arizona astrophysicist Dimitrios Psaltis, project scientist for the Event Horizon Telescope. That theory, put forward in 1915, was intended to explain the laws of gravity and their relation to other natural forces. The first—called Sagittarius A*—is situated at the center of our own Milky Way galaxy, possessing 4 million times the mass of our sun and located 26,000 light years from Earth. A light year is the distance light travels in a year, 5.9 trillion miles. The second—called M87—resides at the center of the neighboring Virgo A galaxy, boasting a mass 3.5 billion times that of the sun and located 54 million light-years away from Earth. Streaming away from M87 at nearly the speed of light is a humongous jet of subatomic particles. 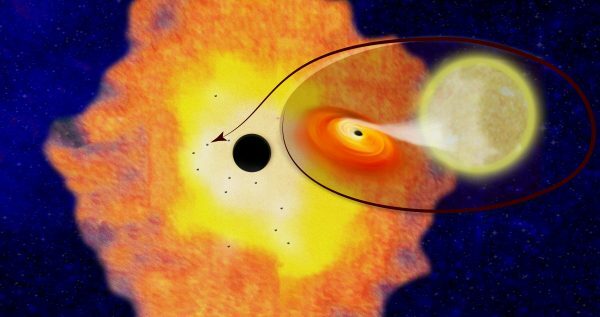 Black holes, coming in a variety of sizes, are extraordinarily dense entities formed when very massive stars collapse at the end of their life cycle. Supermassive black holes are the largest kind, devouring matter and radiation and perhaps merging with other black holes. Psaltis described a black hole as “an extreme warp in spacetime,” a term referring to the three dimensions of space and the one dimension of time joined into a single four-dimensional continuum. Doeleman said the project’s researchers obtained the first data in April 2017 from a global network of telescopes. The telescopes that collected that initial data are located in the U.S. states of Arizona and Hawaii as well as Mexico, Chile, Spain, and Antarctica. Since then, telescopes in France and Greenland have been added to the network. The fact that black holes do not allow light to escape makes viewing them difficult. The scientists will be looking for a ring of light—radiation and matter circling at tremendous speed at the edge of the event horizon—around a region of darkness representing the actual black hole. This is known as the black hole’s shadow or silhouette. Einstein’s theory, if correct, should allow for an extremely accurate prediction of the size and shape of a black hole.